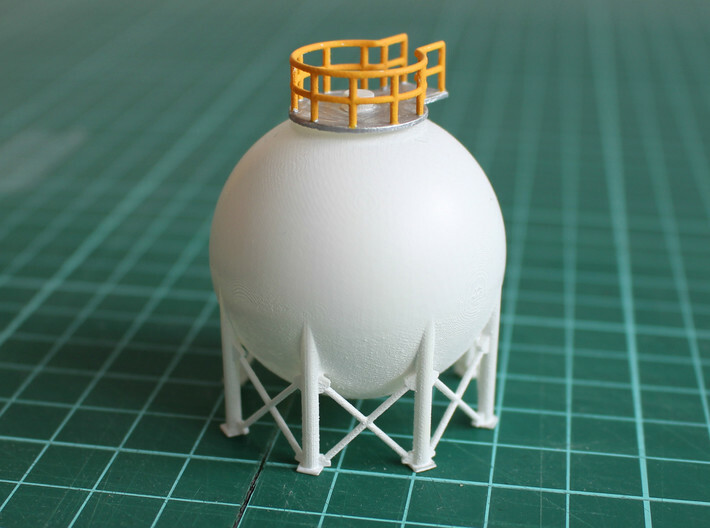 Model of a spherical tank in N scale. 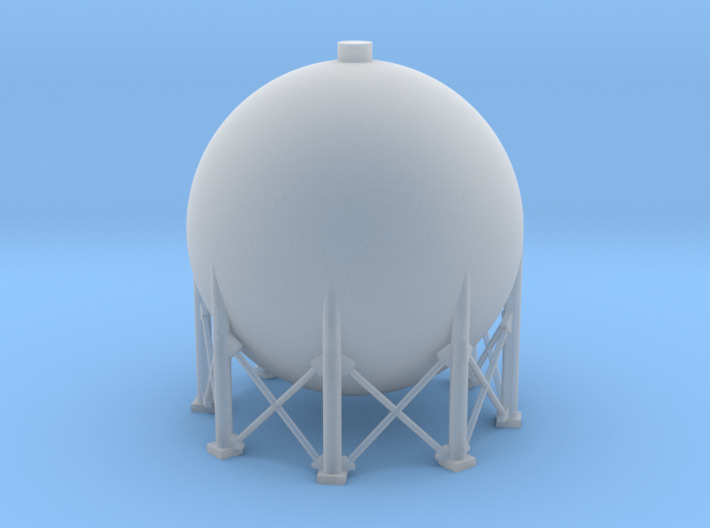 This tank holds about 137m³, or 65 tonnes, of LPG, LNG, Butane, Propane or any other liquified (pressurized) gas. This tank is 40mm in diameter and 46mm tall. 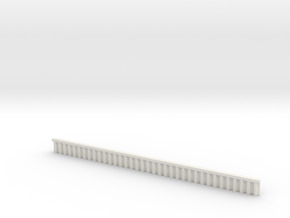 Spherical tanks (officially Horton Spheres) are used because the round shape has the lowest possible surface area to volume ratio and because this shape will distribute the stresses evenly. A cilindrical tank holding an equal amount of pressurized gas will need about double the amount of steel of a spherical tank.